Letter from KPM states that KSSR and PBS courses this year to be postponed from 21 June to 31 August 2013. Also stated in the letter is that DSK and DSP are expected to be combined in one single document to be named DSKP. However, KPM did not state the reason behind this postponement. 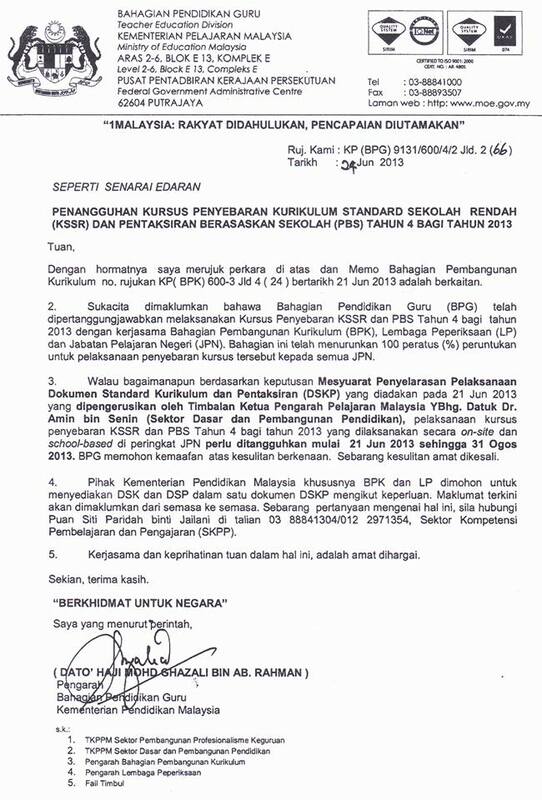 Some said this letter means the ending of KSSR or PBS very soon while some said this is just the MMI policy to not holding any courses during teaching period or some adjustment to the policy. Anyway, we hope KPM will come up with better ideas after the postponement.